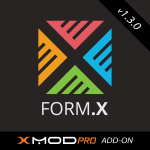 “FormX is to XMod Pro, What XMod Pro is to DNN”! 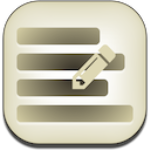 Now not only can you create Forms and Apps quickly with XMP, you can now do quite a bit without refreshing the page. How cool is that? Clean – Sleek – Fast – Responsive, and this is only the beginning. Patrick has a whole list of features that he plans on implementing, and you just can’t beat his customer support. I Highly Recommend! Being an organization that resides in California, and not targeting (nor plan on targeting) EU citizens, I was not sure if the new GDPR Cookie Law applies to us. After doing some research, there appears to be a grey area in the law which is not worth taking a chance on. So for the cost of less than one hour of my own time, I thought I would stay ahead of the game. When it came to selecting a GDRP Cookie Consent module, it was a no brainer for me. Nigel Allen and his team at N A Development provide the best customer support of any DNN module developer that I have used. GDRP Cookie Consent Viper is easy to install, configure, and to customize to match your site theme. It is fast, light weight, and responsive due to the use of RAZOR Templates and Bootstrap. What are you waiting for, download the trial today! Just Awesome! Simple, clean, easy to set up, easy to use and very affordable. It just does what it is supposed to do. I love the fact that the required inputs turn lite red if there is missing information - no guessing here. If you manage multiple DNN sites, it is a no brainer, go with the enterprise version. You won't regret it. Buying the enterprise version of Data Springs Collection 5 is the second best decision that I have made in website management, considering using DNN in the first place was the best. I originally purchased this for the Dynamic Forms module, but find I am using more and more of the others as well, such as Dynamic Views, Dynamic Registration, Dynamic Login, and Opt In Email. These are outstanding modules that have given me the power to create the websites I have imagined using DNN. There is a hefty learning curve at times when figuring out how to use some of the advanced features of the modules. But the way I see it, if a module is too easy to use, it probably doesn’t have the feature set I am looking for. All and all I am extremely happy with the product and the great level of support I have received from the Data Springs staff. I would definitely recommend that if you are considering even purchasing two or three similar modules to those that are contained in the Data Springs Collection, to get the collection. I know that I am glad that I did. Good feature set, but I found it to be buggy in my opinion. So buggy that I could not even get the license I purchased to be registered correctly and when the trial expired, I was left hanging. Customer support wanted to blame it on my DNN install even though there were no errors in the event viewer log. They were not responsive to my needs at all, to the point where I eventually had to install a competitor’s module, and had to eat the cost. Also I feel their upgrade policy leaves a lot to be desired as they do not even provide minor updates after 3 months. Great! Awesome! The Best! I develop and manage several DNN websites that need e-commerce solutions. I have installed most of the trial versions of DNN e-commerce modules out there, and have purchased several of them for my sites. After I ran into issue after issue with the leading e-commerce module on the market, and their lack luster support, I needed an alternative and discovered Cart Viper. Let me just sat that Cart Viper is simply the best. In my opinion, it is the easiest to install, setup, and manage. It allows a level of customization that I found very difficult to achieve with their competitors. If that wasn’t enough, their customer support is by far hands down the best I have encountered from all of the other module developers that I have used. Even though they are located in the UK and there is an 8 hour time difference, they respond faster than their competitors in my experience. Nigel was willing to do what it takes to assist and correct any issues that I came across, and all issues large and small were resolved within a day or two. Since I have discovered Cart Viper, I am in the process of migrating all of my DNN instances that use Smith Cart over to Cart Viper. I have just completed the third one, and I as well as my clients could not be happier. I look forward to future releases, as this product is sure to become the e-commerce standard. I have to say that I was a little skeptical to try this product as there were very few reviews of it, but seeing there is a free trial version, I thought what the heck and gave it a try. On the first day of using the module, I not only had a form created, I was also getting into some pretty advanced uses. I did come across a small bug in a new seldom used feature, and emailed Tom the developer. I had a response within minutes, and within a half of an hour, I had a patched version of the module. Talk about customer service, I would have to rate Rhema Concepts support number 1 in my experience. I purchased the module then and there and love it. Tom is not only receptive to comments; he actually encourages them so that he can continue to improve an already great module. All I can say to perspective buyers is give the module a try, and to Tom I say keep up the good work!